Image Comics is turning 25 this year and to celebrate Robert Kirkman is making his three primary comics only 25 cents each during the month of February. New issues of The Walking Dead, Invincible (which I am about 60 issues into and it is amazing! ), and Outcast can be yours for only one quarter! Each issue marks the beginning of a new arc and the sale will hopefully bring some new readers to one of the best publishers in this industry. When it was founded on the principle of creator owned content it was ground breaking and continues to be one of the most creator friendly publishers, if not the most creator friendly, out there. The trust Image has in the leading artists and authors in this industry is probably the biggest reason for its success and for the truly ground breaking titles it produces. Nailbiter #29 - Joshua Williamson finally revealed the secrets of Buckaroo, Oregon and I couldn't be happier. We are in the second-to-last issue in this series and we finally understand why there is a temple under water in a lake and an underground tunnel system throughout the town. We learned this as the entire town of Buckaroo burns to the ground in a final attempt to hide its dark history from the world. As we approached the end of the series I was worried that there would be some supernatural reason for the serial killers that would leave a sour taste in my mouth, but I am pleased to report that the secret (I'm not going to tell you!) is worth the wait and extremely satisfying. Not only that but the set up for the series finale has me biting my own finger nails! Congratulations to Joshua Williamson and Mike Henderson for delivering such a horrifying series that truly had me on the edge of my seat from the beginning. I look forward to reading the epic conclusion to this series and re-reading it on an annual basis. 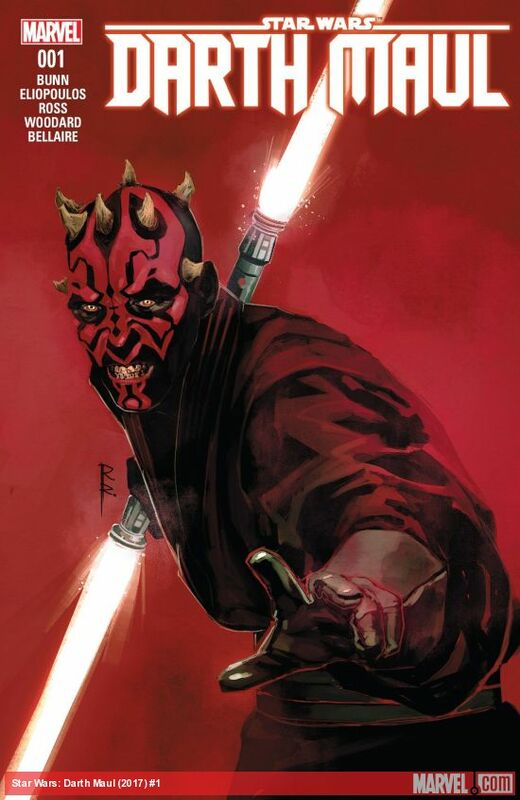 Darth Maul #1 - You had me at Darth Maul and Cullen Bunn. I was beyond excited to learn that Bunn was writing a solo Darth Maul series. Darth Maul is one of those characters that captivated audiences without us ever learning anything about him. We have learned more through his appearances on Clone Wars and Rebels, but still know little about his time prior to the events in Episode One. In this first issue we learn about the blood lust that Maul has and how it may be what ultimately leads to his downfall. Darth Sidious needs Maul to be patient, but it doesn't appear that he will be able to keep him occupied as he waits for things to line up politically. Really impressed with the first issue and looking forward to where this one is headed. The Walking Dead #163 - The best 25 cents I have spent in some time, this issue marks a drastic turn in the series and appears to be setting up a chaotic arc that will likely leave a number of dead bodies in its wake. The herd that the Whisperers led to Rick's city are approaching as rapidly as zombies can manage and have everyone in the town in a total panic. To let you know how crazy things are, Rick and Negan fight side-by-side and appear to be patching things up. I am never going to count Negan out from mixing things up, but he has really played the ally card effectively and will likely throw a major wrench into the gears soon. One of the most zombie packed issues in a long time and it can be yours for only a quarter! Paper Girls #11 - One of the best series of 2016 continues to shine in 2017 as the girls find themselves trapped in 11,706 BCE. The girls have a minor incident with some locals before a mysterious time traveler named Dr. Qanta Braunstein makes a landing and will surely mix things up in the next issue. I have given up trying to predict where this book will take me and am merely happily along for the ride. 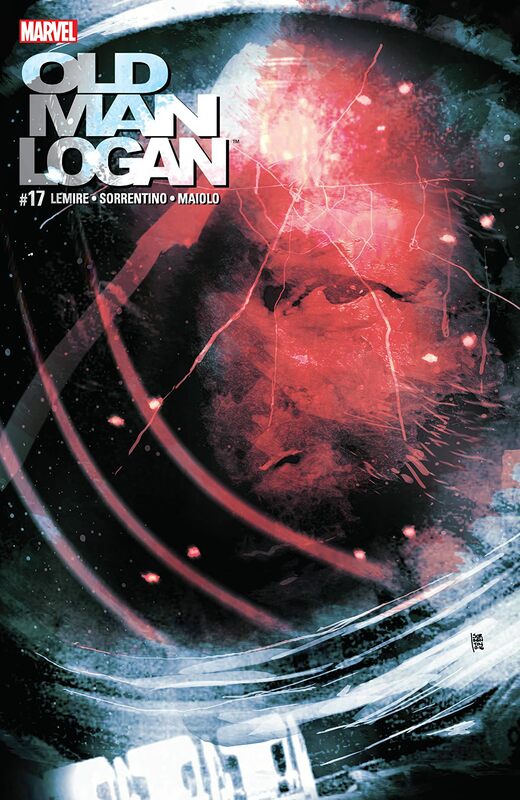 Old Man Logan #17 - Wolverine's journey through this time-shifting adventure continues to tread the border of the events in space and the Wastelands. The two incidents appear to be happening concurrently as he tries to remember what happened to Banner's grandson who he was trying to protect. Everything seems real, but like a dream at the same time and Logan appears to be walking a fine line between reality and madness. As he battles these alternative realities, he is confronted with the one who is doing this to him and it should set up another exciting issue from Jeff Lemire. I really thought this would be a mini-series and am blown away with where Lemire has taken this story. Batman #16 - In another odd issue that featured a lot of humorous dialogue at a fast food joint, Batman urges his collection of sidekicks to take a vacation while he deals with Bane. Not wishing any harm to come to them, it is clear that Batman's past and the pain and suffering that have happened to those around him still have a big impact on how he cares for those who surround him. While the issue seemed a bit odd overall, Tom King delivers a stunning panel to keep readers coming back for the next issue and the arrival of Bane. While things look grim, I am not buying what Bruce Wayne finds in the Bat Cave and will still hope for this series to improve.